It’s my pleasure to be here and I’m super excited to hang out with Franny on her blog. Pretty sweet, right? 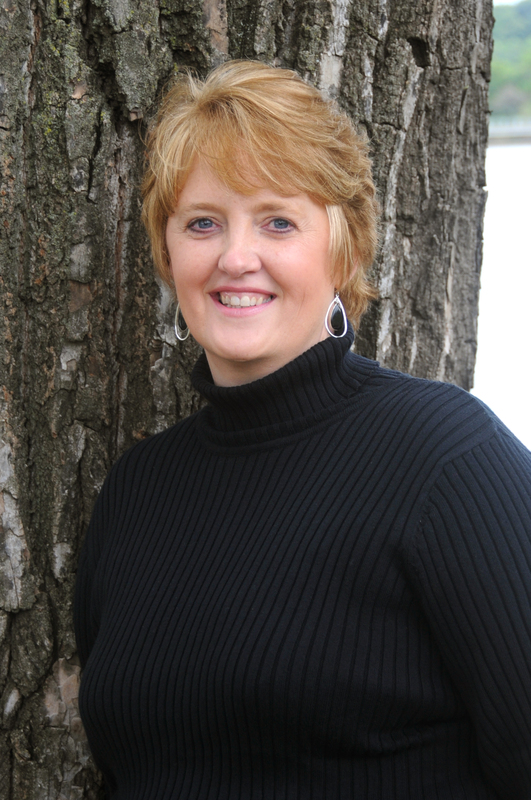 My name is Angela K Roe and I write contemporary romance. 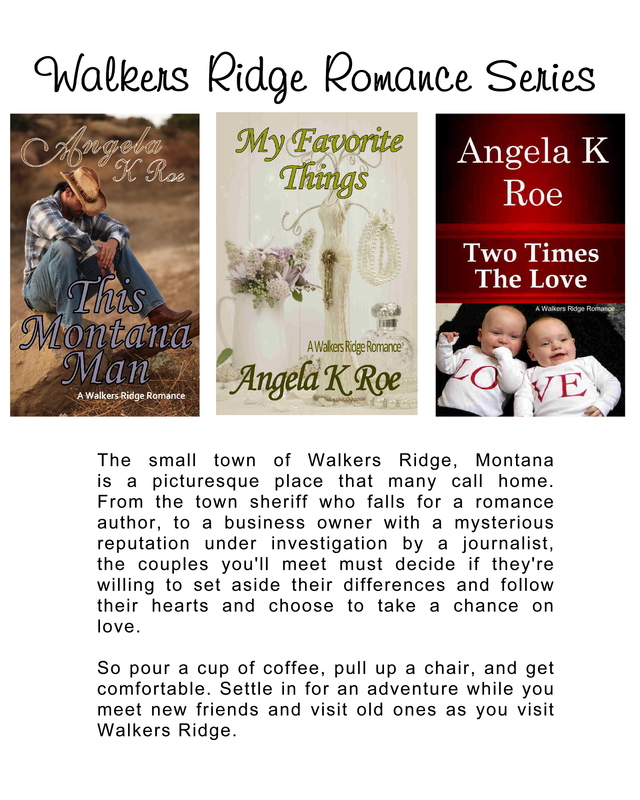 My Walkers Ridge Romance series consists of This Montana Man, My Favorite Things, and Two Times the Love, and it takes place in a small town in Montana and has been compared to Debbie Macomber’s Cedar Cove series. (Seriously, the first time someone said that to me, I almost fainted) The series is a trilogy. Each is a complete story on it’s own with some of the same characters woven through all three books. So you get to catch up on your favorite townsfolk. 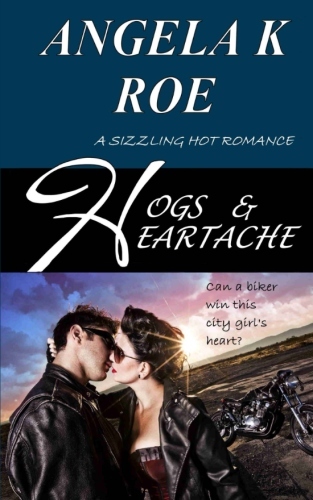 In addition to the Walkers Ridge Romance series, I’ve got a contemporary traditional erotica romance called Hogs & Heartaches, which takes place in Sturgis SD during the annual bike rally. It’s what I call a Spicy Romance. I have a second contemporary traditional erotica coming out soon and I’d love to share some information with you. The amazing Serena Kitt has invited me to publish Storms of the Heart in her medical themed box set. She’s an amazing author and I’m so thrilled to be involved in this project with her. So stay tuned to my blog for more details. And if you hear that high pitched noise, it’s me squeeing with excitement over here. In the meantime, enjoy this excerpt of This Montana Man, the first in the Walkers Ridge Romance series. With a short bark, he declined. “I’m coffeed out, but I will come in, I need to talk to you about something.” He followed her through the back porch and into the kitchen. The smell of baking bread filled the air and he inhaled deeply. Memories of being at his grandmother’s knee as she made bread and pies in this room filled his mind. He used to think about raising his children here as he had been raised, but that dream wasn’t going to come true. Ruthlessly pushing those thoughts aside, he focused on Caroline. Jamie wandered into the dining room and noticed the laptop still open on the table. “May I?” He headed toward the computer without waiting for an answer. “Not to be rude, but yes,” Caroline shrugged, sipping her coffee. Caroline’s coffee mug slipped from her hands and crashed to the hardwood floor, splattering coffee and splintered glass across the room. “I’d have to say that’s a yes,” he drawled.